Washes of white sand, heavy-hanging palm fronds and a turquoise blue ocean are only part of the idyllic beauty of the Maldives. Spectacular coral reefs line sandbars and blue lagoons, which make for perfect diving, snorkelling, and of course, epic Maldives surfing. 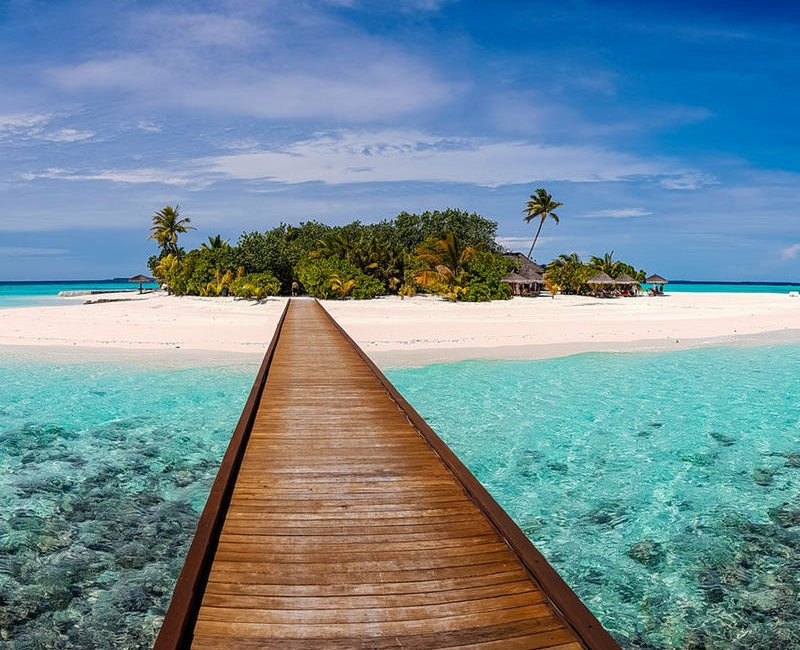 Studded along the warm Indian Ocean, the Maldives archipelago is comprised of a series of 26 natural Atolls, formed by seamounts and fringed with live coral reefs. 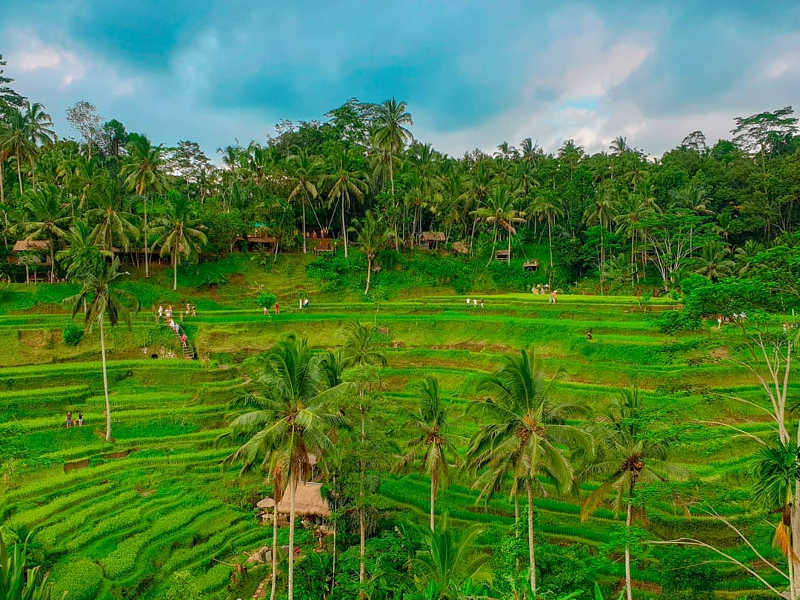 Not unlike Indonesia, “the flower of the Indies” (as quipped by Marco Polo) enjoys the same swells, but without the intensity. Year-round sunshine and warm water, on average around 27°C, offers the chance to shed the wetsuit and enjoy a baggy surf. Don’t forget to bring a hooded rashie to beat the sun, and plenty of sunscreen and surf zinc. Reef booties may come in handy too. Most of the resorts have claimed guest-only exclusivity over the surf breaks in front of them, leaving the Maldivians with little option of where to go. If you find yourself in local surf spots, consider to occasionally let a good wave go to the locals. Which board to bring? More forgiving waves and smoother conditions mean you can get away with a smaller board, but one with more width and volume. Most of the waves are long and allow for an easy take-off, so you can’t go wrong with a conventional 6-foot board and a short hot-dogger. If you don’t want to haul your board around, consider renting one from Malé Airport! You’ll need tropical wax for surfing in the Maldives, so if you have winter wax, remove it before you arrive. The top Maldives surf spots are peppered across the archipelago, categorised by their location amongst either the Northern, Central or Southern Atolls. The Northern Atolls are some of the most popular in the Maldives, and are divided into the North Male Atoll and South Male Atoll. Having hosted multiple professional surf contests, including WQS events, the Male Atolls are home to some of the best, most consistent waves in the Maldives. 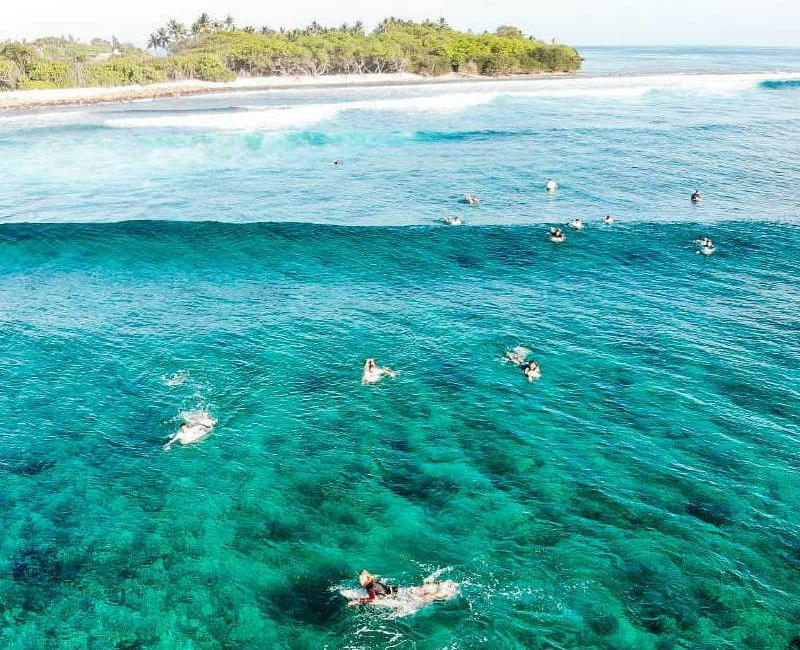 A handful of the most recognisable surf breaks can be found in North Male, attracting more surf seekers than its southern counterpart, due to bigger swells. Aptly named after the chickens that once lived on the island where the wave breaks, this surf spot sees waves of up to 14 feet (1 foot is roughly 30 centimetres) and long barrels on a big swell day, perfect for advanced surfers. The Coca-Cola factory on Thulusdhoo Island lends its name to the right-hander Cokes, with its almost 10-foot waves and high barrel factor. Strong currents mean it’s better suited to intermediate and advanced surfers. Formerly known as Lohifushi, the Hudhuranfushi Resort shares its name with the popular wave that’s located here, ranging from 2-6 feet. Expect long barrels on this left-hander, which is best kept for advanced surfers. 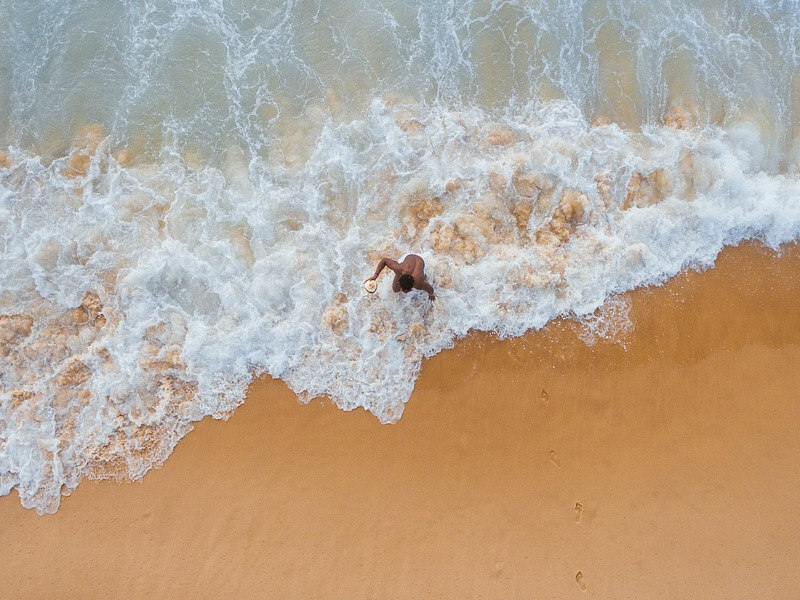 The uninhabited Thamburudhoo Island is home to two world-class surf breaks, which are suitable to all levels of experience. Sultans, a right-hander, and Honky’s, a left. Sultans is one of the most surfed spots in North Male, with up to 15-foot waves, while Honky’s offers almost 10-foot waves. Named for its close proximity to a former Maldivian prison, Jailbreaks is one of the fastest right-handers in the Maldives. Waves range from 1-10 feet and break over a submerged reef. Intermediate surfers can easily navigate the steep, fast takeoff . A deep channel separates North Male from the South, which hosts smaller waves. Mainly accessed by surf charter or boat, South Male is not nearly as crowded as its northerly counterpart, but has equally high-quality breaks. A fast left-hander, Gurus offers a great wall for aerials and fun manoeuvers. Popular with locals, the waves reach up to 4 feet and are great for intermediate to advanced surfers. Breaking in two directions, Twin Peaks picks up more swell than the other South Male surf spots and supplies both a left and right-hander. Accessed only by boat, it’s far less crowded and best suited to intermediate surfers on its 4-6 foot waves. A fast right-hander that is great for intermediate surfers, Quarters picks up less swell than its neighbours, but offers a nice hollow inside section. Its name is reflective of the worker’s quarters of the resort, that is located on Gulhigaathuhuraa island. Also known as Foxy’s, this fast, hollow right-hander breaks for almost 150 metres. The 3-6 foot waves are less crowded and most enjoyed by intermediate to advanced surfers. 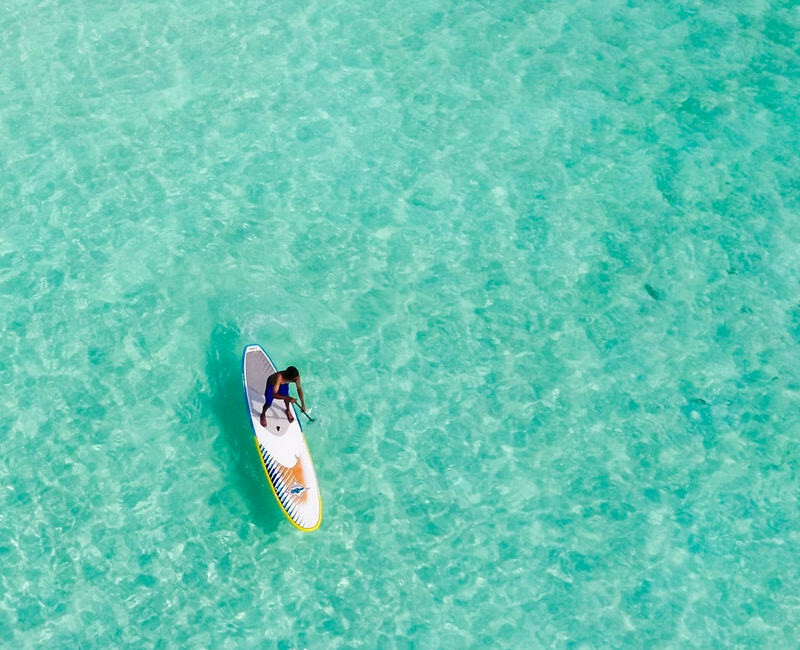 Located near to Guraidhoo – an uninhabited island – Riptides is a fast right-hander that offers long rides of up to 150 metres. Breaking off a small reef in the middle of the channel, this prime surf spot is accessed only by boat. Strong currents make this better suited to intermediate to advanced surfers. Nestled between the North and South Male Atolls, and not nearly as frequented, the Central Atolls are growing in popularity and offer a quieter escape from the crowds. Accessed only by surf charter or boat, southwest and southeast swells have influence on the region’s reef breaks. Uncrowded lineups and two-way waves make Meemu Atoll a great place for beginners and intermediate surfers alike, to catch a perfect wave. A left-hander with a long wall, the break at Veyvah has an easy takeoff and is a fun wave for all levels of experience. A fast right-hander, Muli Inside (or Muli F1) has long walls with hollow sections and a barreling break. It can be shallow, but it’s well protected from south-easterly winds and waves reach up to 1ft. Sometimes referred to as ‘Mushrooms’, Muli Outside is a right-hander with long walls and an easy exit, picking up more swell than Muli Inside, with waves reaching up to 2ft. A recently discovered Central Atoll, Thaa offers high-quality, uncrowded reef breaks, accessed only by surf charter or boat. A left-hander off the island of Hirilandhoo, Malik’s has long, fast walls and produces great barrels when big swell comes in from the southwest. Expect waves of around 2-4ft. Inside Mikado produces the most consistent of the Thaa waves and is a right-hander with hollow walls and excellent barrels. Outside Mikado is also a powerful, consistent right-hander that works best on a high tide. A fast, shallow left-hander that breaks over an exposed reef, Finnimas also produces a right, and is known for great barrels. Waves here are in the range of 2-4ft. Another new discovery of the Central Atolls, Laamu offers frequent reef swell feeding an abundance of reef breaks. Get ready to paddle out hard to this right-hander with some of the longest Maldives barrels on offer. The coral reef can be a bit hazardous, but rewarding, with waves of up to 3ft. Divided into a heavy left and a right with a fast, shallow takeoff, this spot can be dangerous and best reserved for the more experienced surfer. The sometimes 3-foot right-hander Yin Yang becomes increasingly aggressive as it progresses and the long inside barrels are perfect for advanced surfers in search of the perfect tube. The Southern Atolls (or Huvadhoo and Addu) are visited by fewer surf charters and boats, making them feel more secluded over their short surf season. The waves are much smaller than those in the Northern Atolls, but the area is flooded by summertime swells. Located above the equator, surfing the South Huvadhoo Atoll (or Gaafu Dhaalu) is recommended for advanced surfers, due to the speed and power of the waves. Regarded as a powerful wave, reaching up to 10 feet on an exposed reef break, the right-hander Beacons is best surfed on a southwest swell to avoid the unforgiving coral reef below. 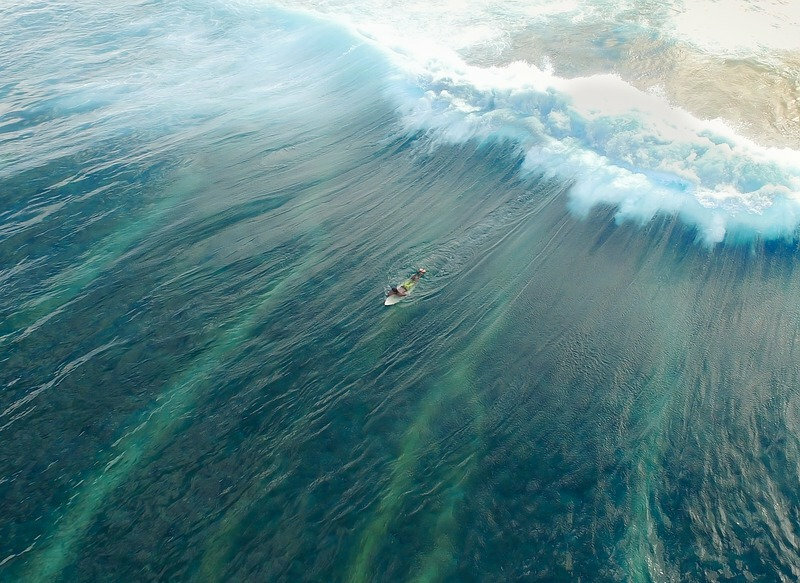 A consistent spot for barrels, Five Islands breaks over a shallow, submerged reef. A deep takeoff on the outside section offers speedy walls. A challenging break, with waves of up to 8 feet. Named after the narrow gouges striped across the reef, the waves of this left-hander reach up to 8 feet. A long, fast wall and tubular section that’s perfect for all tides and experience levels. 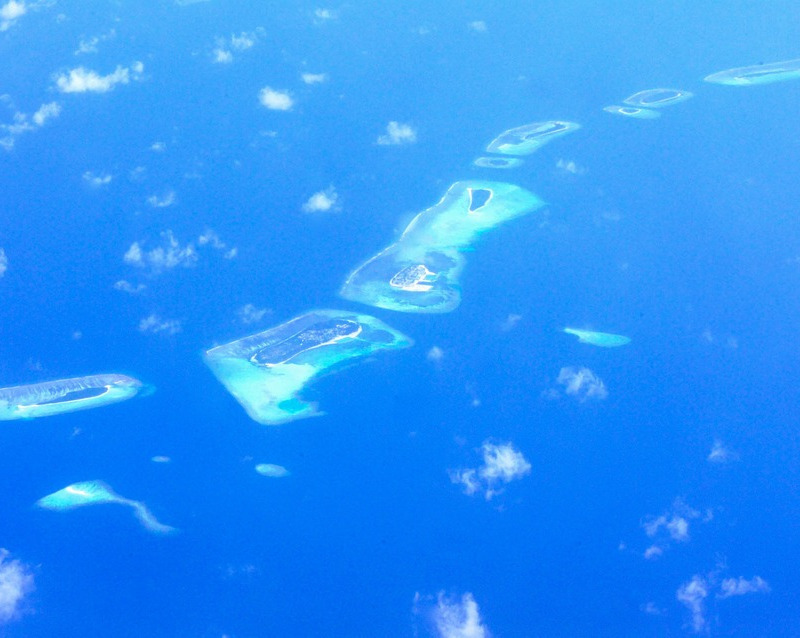 The heart-shaped Atoll only recently became a popular surfing destination. Known for intimidating technical breaks and shallow reefs, it’s best left to advanced surfers. The namesake surf spot of Villingili Islands Shangri-La Resort, this right-hander sees waves of up to 5 feet and is surfable on all tides by surfers of all experience levels. Marked by speedy inside walls, the Madihera break is a long left-hander. Surfers of all experience levels will enjoy the variety of waves, which get up to 10 feet. An aircraft runway on Gan Island inspired the name of this long right-hander, which is exposed to severe southern winds. Ranging anywhere from 2 to 10 feet, depending on the conditions, it’s best navigated by experienced surfers. Depending on the Atolls visited, March to October are the best months overall for experiencing world-class Maldives surf conditions. The biggest swell can be found around June to August, with mostly offshore winds. September and October are known for consistency of swell and are less affected by tropical storms. April to October are prime months for surfing the Northern Atolls due to the abundant south swells. The Central Atolls are best surfed between June to September, with bigger swell and offshore winds. 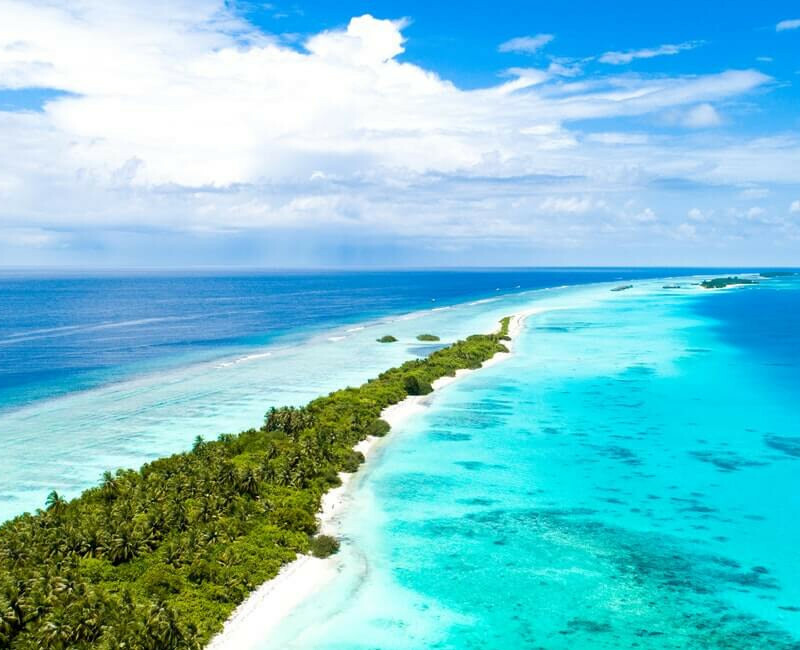 The Southern Atolls are best enjoyed before the southwest monsoon sets in, from February to April, and again in September to November, when the monsoon comes to an end. Although May to August sees the southern surf spots affected by wind, the eastern surf breaks are more sheltered. The Maldives surf season falls over March to October, which happens to be the low season for holiday-makers and can see you saving up to 30% on your flights! Ready to hang ten? 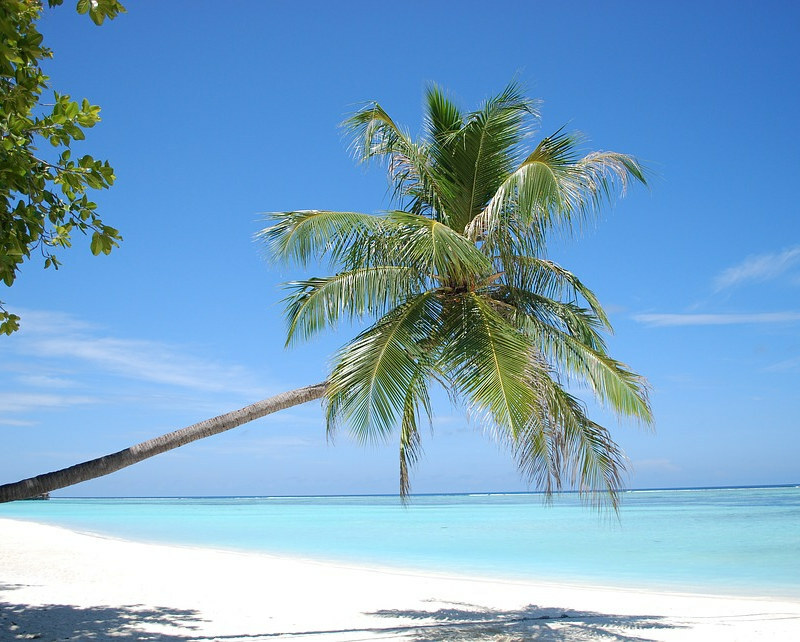 Browse and book cheap flights to the Maldives with Travelstart! Travelling during the low season could also see you pick-up a great Maldives travel package or save on hotel accommodation too. If you are on the hunt for perfect surf conditions in an idyllic, tropical setting, then a surfari in the Maldives may be just what you need! 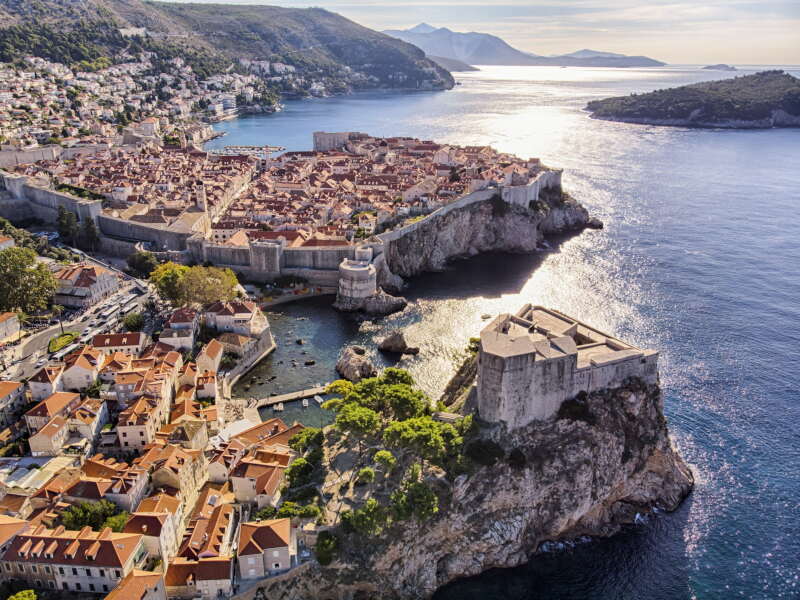 Harbouring some of the best surf breaks in the world, it caters for surf seekers of all experience levels. 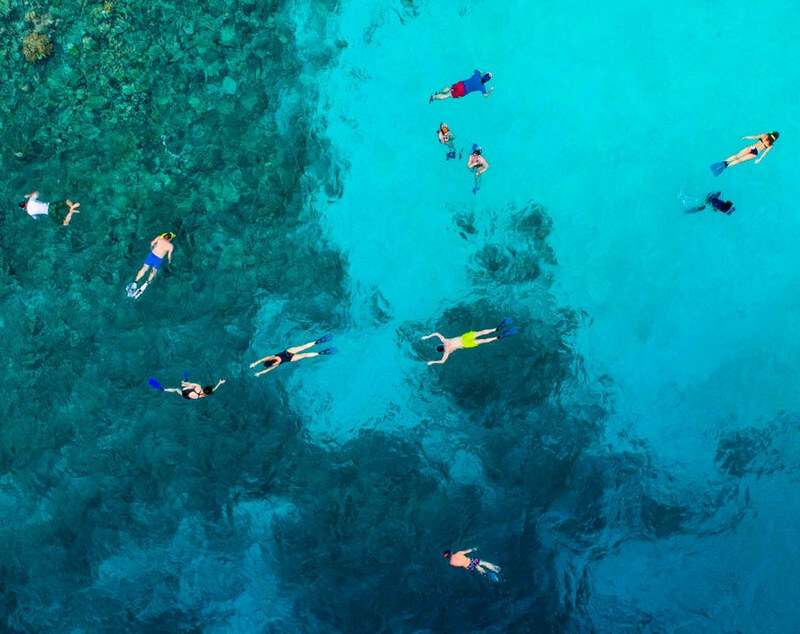 And on those days when the waves aren’t quite firing, don’t despair, because there’s a variety of other Maldives activities to enjoy, including unparalleled diving and snorkelling. Sign up for our newsletter and stay in the loop on flight specials and travel deals for your upcoming trip to the Maldives. 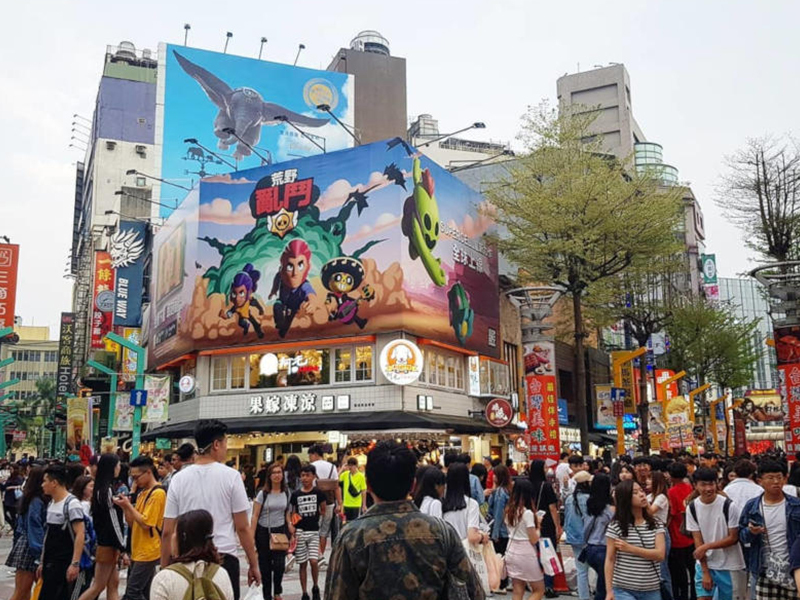 Already taken this trip of a lifetime? 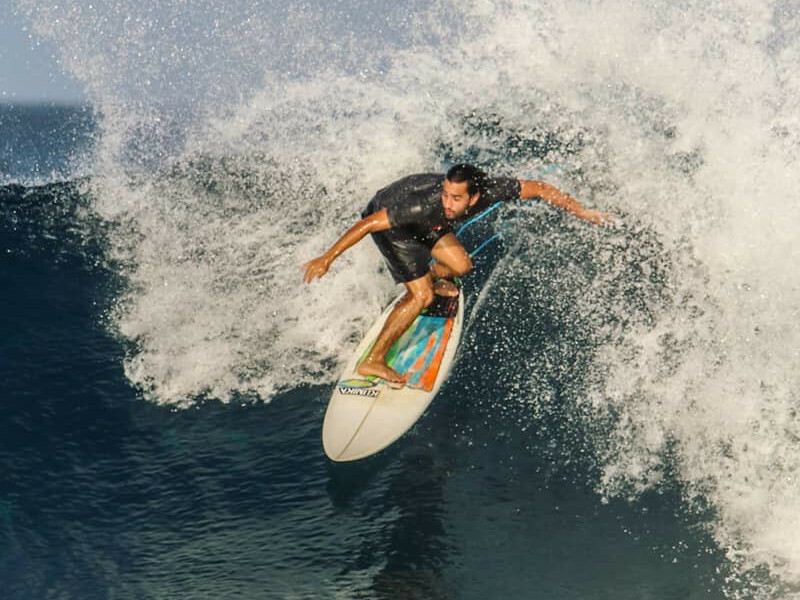 We would love to know which top Maldives surf spots you explored!